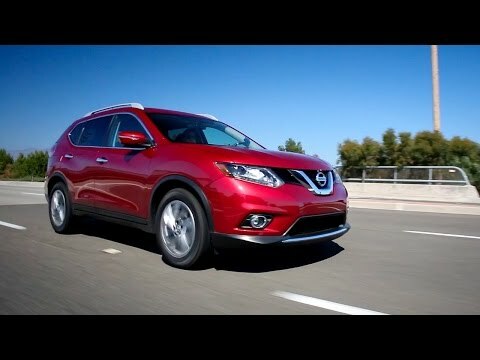 Nissan's 2016 Rogue compact-crossover SUV delivers exciting styling, a feature-rich interior and something uncommon in this class: an available 3rd-row seat. Nissan prices the Rogue to be competitive against the Honda CR-V and Toyota RAV4, but it also faces tough challenges from more powerful crossover SUVs such as the Kia Sportage and Ford Escape. I love my rouge the drive is smooth. The gas mileage is great. Feature for the backup camera is nice; only thing is that when someone purchases the vehicle there should be instruction on how to use the camera. Most important I would think is that they should be sure to still look before backing up. The Bluetooth is really nice and also one of the best features; safety over the text and trying made a call while driving. The instruments are so easy to read and follow. If there was any real complaint that I have it would be the legroom for the front driver and passenger. While lots of people like the color white I find it horrible and will never buy a white car again. I like the design of the vehicle other then the fact that there are so many vehicles shaped just like the rouge. Sound in the vehicle is wonderful, easy to adjust and equalize throughout the vehicle. The balance is just wonderful with the music. The only other thing that I think should be considered is upgrading the engine as so many of vehicles now, to where the oil changes are every 5k or annually to help reduce the cost of the maintenance or have all dealerships offer the free oil change etc. I have owned a lot of vehicles throughout my years and the rouge I must is the best one yet. Do not know you could improve it more. Rogue drives smoothly and fits the driver like a glove. During my test drive, I fell in love with this car. It really felt like it was built for me to drive! I really like the backup camera, and it makes me far more comfortable when parking. I like that it does not beep when I am within a certain proximity, because the beeping alarms make me nervous. I installed remote start to the car, which was easily adapted at the dealership. This makes my winter mornings more bearable. I have not had many problems with my vehicle. The two issues I have had were easily fixed and under warranty. The a/c did not work properly and a paint spot started to lift on the interior of the door. Outside of that, I only have two complaints about the car. The headrests tilt forward too much for my liking, and the visors do not reach across to the door, leaving about two inches for sun to come in during my morning commute.